A group of ten Dovea Genetics representatives recently completed a three day study trip to the Jura region of France to observe the continual development of the indigenous Montbéliarde breed. 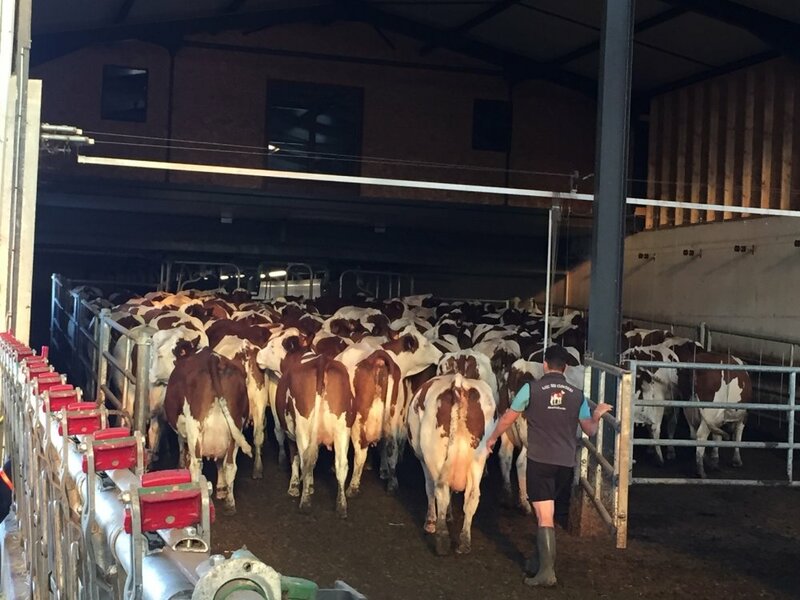 Dovea Genetics maintain a strong relationship with Coopex Montbéliarde, providing a large selection of top class Montbéliarde sires for use in Irish dairy herds. Comté cheese production is unique to the Jura region of France, and the native Montbéliarde is the breed of choice due to high yields of well balanced milk solids, and strong grazing ability and efficiency, while excellent fertility, udder health, and calving ease, contribute to longevity and ease of management. 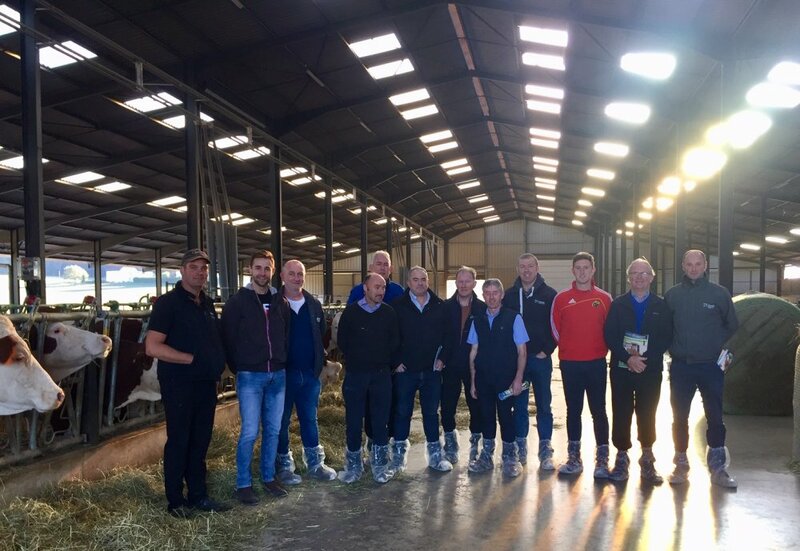 The trip was kindly facilitated by Ferréol Roche, Export Area Manager with Coopex and consisted of four farm visits, culminating in a visit to the Coopex bull stud at Roulans. Within the Montbéliarde breed, large emphasis has been placed on breeding cows with excellent production, fertility, and health. The visiting group was highly impressed with the temperament of the breed, while high milk solids production, longevity, smaller stature, and excellent udders and feet and legs, was observed across the herds inspected. Performance of the breed on each farm was typified by high yields of milk solids of excess of 620 kg per cow, (typically 8,520 kg milk, 3.49 % protein, 3.91 % fat) calving interval of 380 days, and just 1.6 A.I straws required per conception. Daughters of Elastar (MO2284) and Crasat (S1259) were particularly impressive, exhibiting smaller stature, excellent udders, and very good feet and legs, while exciting young bulls suitable for Ireland were identified for the 2019 breeding season. Montbéliarde offers a unique option for Irish dairy farmers to achieve high yields of milk solids, excellent fertility, durability, and high beef value, and are a very suitable option for crossbreeding. Dovea Genetics in conjunction with Coopex is delighted to provide this outstanding breed to Irish farmers and we look forward to its continued growth and success.